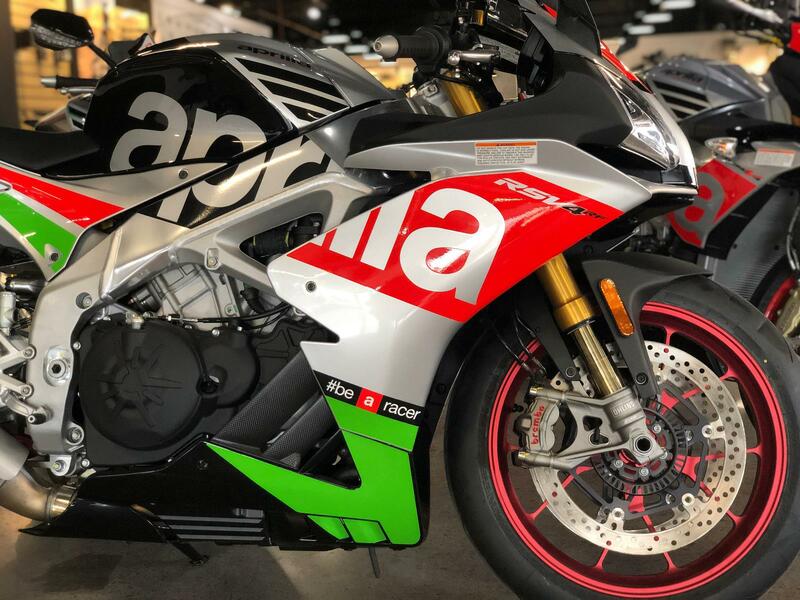 Engine: Aprilia V4 65°, 4-stroke, liquid cooled, double overhead camshaft /DOHC), four valves per cylinder. Ride By Wire with 3 engine mappings (Sport, Race, Track). 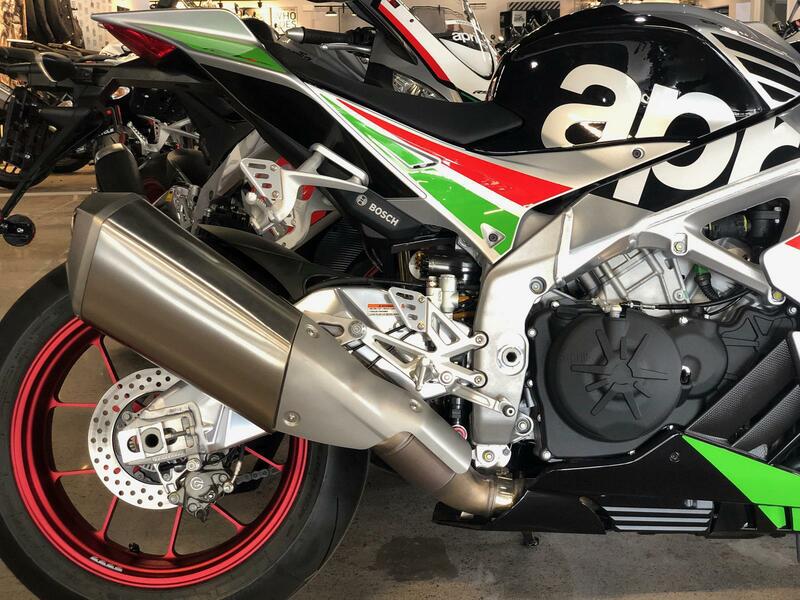 Exhaust System: 4 into 2 into 1 layout, single oxygen sensor, lateral single silencer with engine control unit-controlled butterfly valve and integrated catalytic converter. 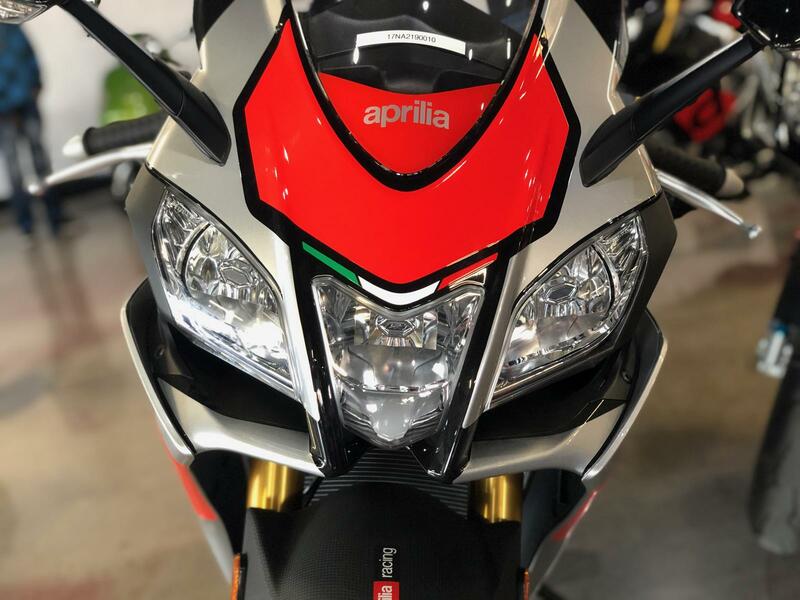 Electronics: APRC (Aprilia Performance Ride Control) system including (ATC )traction control, (AWC) wheelie control, (ALC) launch control, (AQS) quick shifter with auto-blipper, (ACC) cruise control, (APL) pit limiter, cornering ABS, all Independently settable and de-selectable. V4-MP 2.0 as standard. Gearbox: 6-speed cassette type gearbox with slipper clutch. Lubrication: Wet sump lubrication system with oil radiator and two oil pumps (lubrication and cooling). Clutch: Multiplate wet clutch with mechanical slipper system. 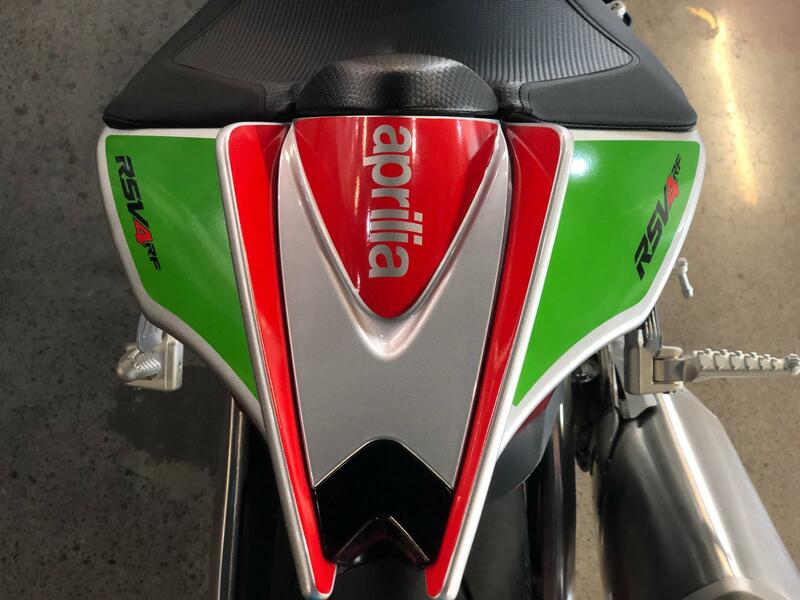 AQS Aprilia Quick Shift electronic system with autoblipper electronic downshift assistance. 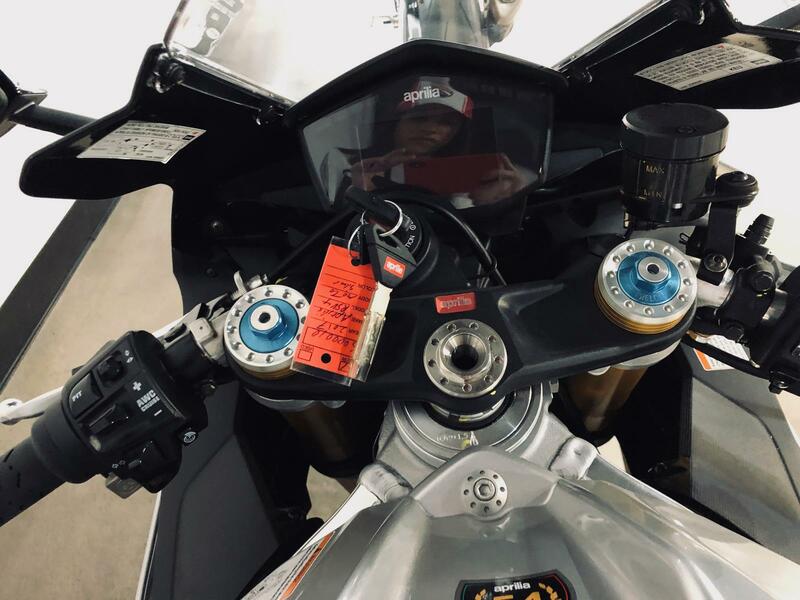 Steering Damper: Öhlins adjustable steering damper. Front Suspension: Öhlins NIX upside-down fork, 43 mm fork body Adjustable spring preload, independant rebound and compression. 120 mm wheel travel. Rear Suspension: Aluminum alloy swingarm with progressive linkages. Öhlins TTX 36 single shock absorber with remote reservoir, adjustable spring preload, independantly adjustable compression and rebound. 120 mm wheel travel. Front Brake: 330 mm floating double disc with aluminum carrier. Brembo M50 4-piston mono-block radial calipers. Radial pump and steel braided brake lines. Max Width: 29 in. (735 mm) at the handlebar. 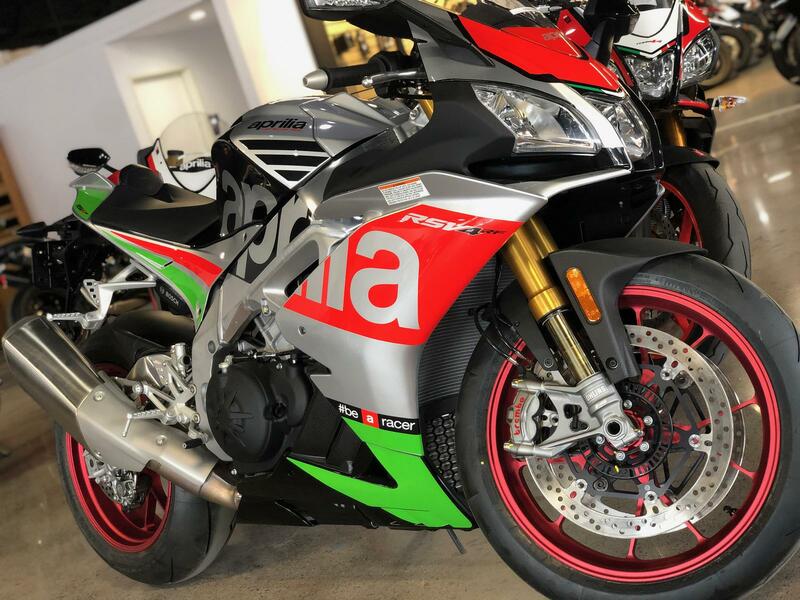 Warranty: All 2015 and newer Aprilia Motorcycles include a 2-year unlimited-mileage warranty. *Limits are outlined in the warranty booklet. See dealer for details. Öhlins NIX upside-down fork, 43 mm fork body Adjustable spring preload, independant rebound and compression. 120 mm wheel travel. Aluminum alloy swingarm with progressive linkages. Öhlins TTX 36 single shock absorber with remote reservoir, adjustable spring preload, independantly adjustable compression and rebound. 120 mm wheel travel. 330 mm floating double disc with aluminum carrier. Brembo M50 4-piston mono-block radial calipers. Radial pump and steel braided brake lines.